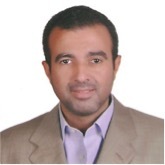 Khalil Al Masry is a software development consultant, and peace activist. He is the co-founder of “Selmiyah” (Peacefully) movement – established in 2012 – promoting culture of peace and building bridges of trust within the Egyptian society and across its divides, and coordinating the efforts of the different stake holders. Khalil is also member of different international peace-building organizations and intercultural exchange networks such as Initiatives of Change, MER, Caux Scholars Program Alumni, and United Nations Alliance of Civilizations Alumni. He worked as a consultant in different projects promoting civic engagement, peace, and co-existence in partnership with international organizations such as GIZ, Save the Children, and UNHCR. He also facilitated many workshops promoting citizenship, non-violent communication, and peaceful conflict resolution. In 2010, Khalil founded “Madad for Information Technology” a company which main mission is to provide IT support to the civic society in Egypt. Now he’s managing “El-Midan” (The Square) portal, an online platform dedicated to support the efforts and activities promoting a culture of peace all over the world. He developed a new program called “Peace Engineering” to build the capacity of young Egyptians on how to use engineering -with focus software engineering- to better serve the peacebuilding efforts of the Selmiyah network.